When people think of Thailand, and its paradise beaches, most think of the southern Islands, coconut trees, lying in a hammock swaying in the breeze, watching the sun go down with a cocktail in hand. Well, Phuket is all of that, and so much more. Phuket is one of those southern islands, surrounded by the beautiful and diverse Andaman Sea. 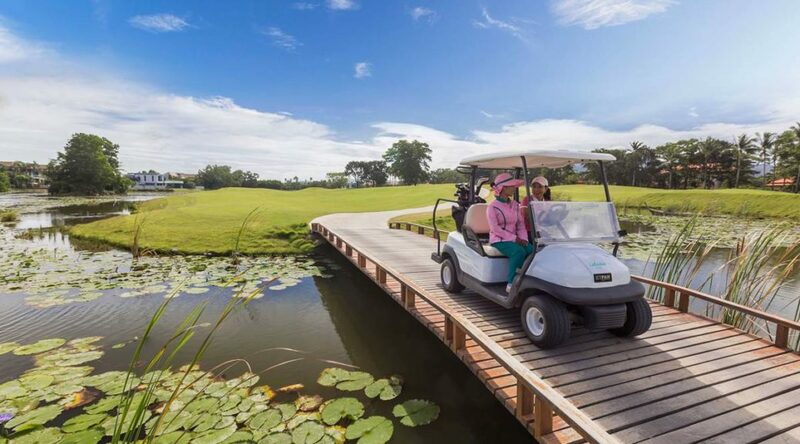 Phuket and Golf go together very well, it’s a match made in golfers heaven. There are no less than eight championship golf courses just waiting for your visit. Most probably the best known in is Blue Canyon Country Club, the site of Tiger Woods’ 1998 Asian victory, and which has two championship layouts, the Canyon course and the Lakes course, both are a must play. Jack Nicklaus also has Mission Hills Golf Resort, a gem in Phuket. 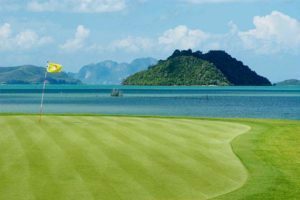 Some of the holes have the most amazing views looking out towards Phang Nga Bay, worth the admission fee alone. Then there’s Laguna Golf Club and Red Mountain, the list just goes on and on. There are numerous daily flights from Bangkok, as well as the many international flights, so Phuket makes for a great dual destination, so play in Bangkok and head down to the Islands. Phuket has an abundance of nightlife, full of fantastic restaurants offering the freshest seafood, as well as a huge choice of accommodation. No matter what you budget, there will be something to suit you perfectly. How about the first class JW Marriott Resort & Spa. Set in the most spectacular location, on the pristine sands of the world-famous Mai Khao Beach, this hotel welcomes you with 5-star guest rooms and suites and an impressive array of luxury amenities. Make yourself comfortable in their resort, which showcases sleek wooden floors, terracotta tiles, stunning views and much more. Dine at one of their 11 first-class exquisite restaurant and bar options, or experience the local delights within a short walk. After golf, enjoy their award-winning Mandara Spa. 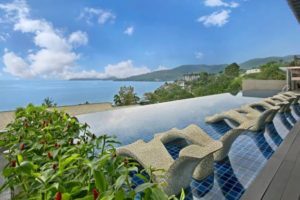 Or choose the Hyatt Regency Resort, one of the few phuket hotels terraced up a steep hillside overlooking Kamala Cove at the southern tip of Kamala Beach. Their 201 rooms are larger in comparison to many of the Phuket hotel rooms available. Most of their rooms offer unobstructed panoramic views of the Andaman Sea with its spectacular tropical sunsets.